Visiting predators. 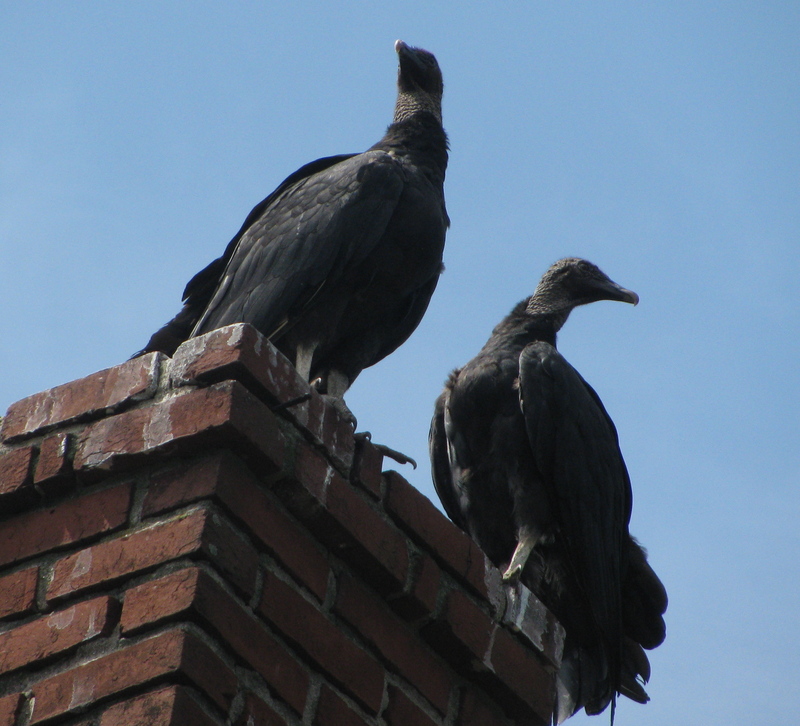 The two black vultures that took up residence in our garage this past summer have flown the coop. I needed to store some tomato cages in the garage loft a few weeks back (yes, we keep our tomatoes behind bars; otherwise they might run away). I was pretty sure the vultures had gone (we hadn’t seen them for a couple of weeks), but I banged loudly on the steps a few times on my way up. Some things you just know instinctively. You don’t want to get in-between a mother grizzly and her cubs, you don’t want to eat the creamed corn at the Old Country Buffet and you don’t want to surprise vultures in an enclosed space. No need to push the envelope on that stuff. They weren’t up there. As we suspected, they had been nesting in the hay bin, a cozy spot that is now filled with vulture feathers. We will most likely board up the broken windows they used to enter the garage this past spring, but that is a decision that has not yet been made. In the meantime, I’m working on a vulture feather vest and matching hat as a Christmas gift for my wife. Shhhh. Don’t tell her. Sofa wars. Because of the intense heat in his room, we let Clay sleep in the living room this summer, prompting a nightly battle between him and our basset hound, Miles, over one of the sofas. 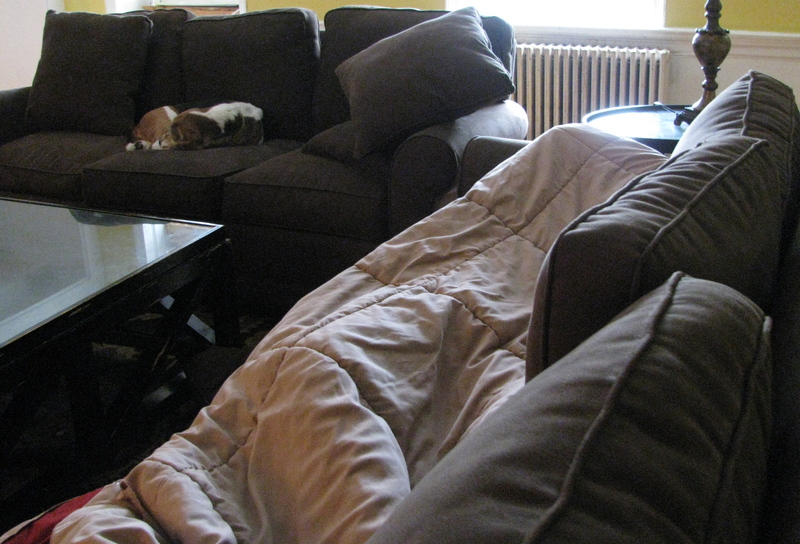 The weather has gotten cooler at night, but we continue to let Clay sleep in the living room. He seems content there and, more importantly, stays downstairs on those nights—once a week or so—when he wakes up at four a.m., leaving Mom and Dad to sleep in peace (for the most part.) The dog has resigned himself to the loss of his favorite sofa and moved his act to the adjacent identical cousin. Not every night—if there is rain and thunder or fireworks, he is upstairs with us—but he has been spotted regularly on the dreaded other sofa, accepting defeat graciously, as he snuggles into the pillows. Free towels. In the spring, I reported on the miraculous release of our paper towel roll from the locked pantry. 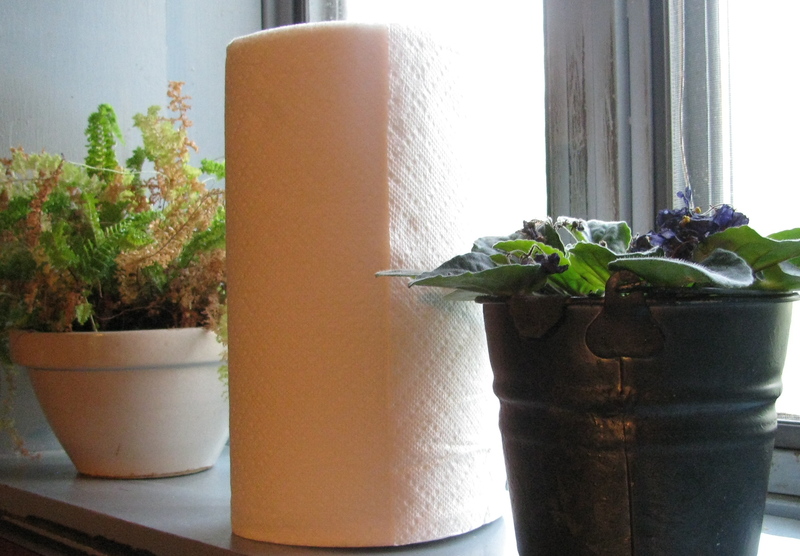 My wife left the paper towels out on the windowsill one day and our resident Mr. Whipple did not unroll them through the house as he had done in the past. We had some minor set backs during the week between the end of camp and the beginning of school when all bets are off, but I’m happy to report the paper towels remain free from captivity. The napkins, sadly, still sulk in the dark confines of their pantry jail with little hope of release in sight. Fresh produce. Clay was not overly impressed on our first visit to the local organic farm we joined this summer. No farm animals besides chickens, he pointed out. The place grew on him, though, as we went every other week to pick up our share of the crops. He helped with the “You Pick” portion a bit, gathering cherry tomatoes in the field and, more importantly, tried some of the concoctions my wife put together as we experimented with vegetables we had never tried before – mustard greens, collard greens, kholrabi etc. And he ate more than his share of the fresh tomatoes and potatoes. Way more than his share. 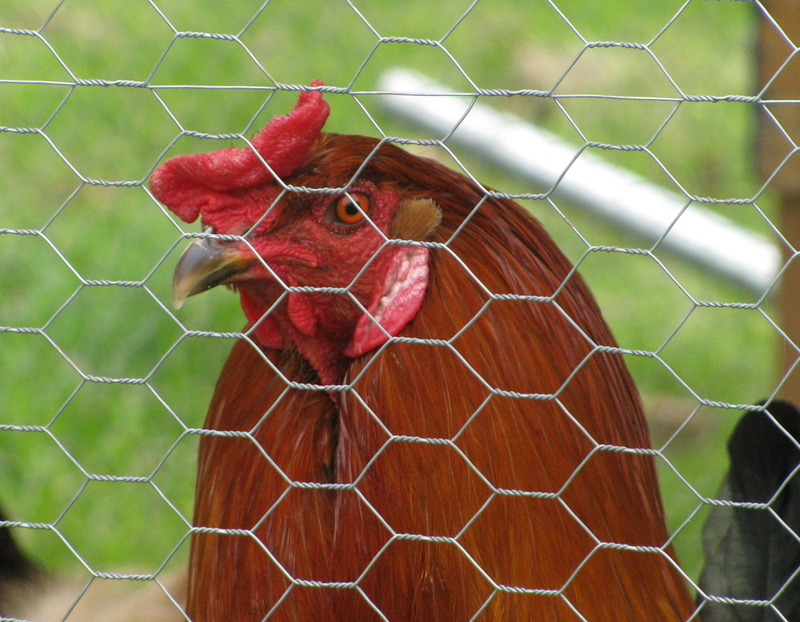 We’ll most likely be back next summer, although I’m still keeping my distance from that chicken coop. This entry was posted on October 7, 2011, 8:30 am and is filed under Communicating, Daily Life, Silly Behaviors. You can follow any responses to this entry through RSS 2.0. You can leave a response, or trackback from your own site. But I’m going to clean the feathers and everything. I have to admit, I really wanted to know the end result of the “sofa wars”- thanks for the update!